Love Fishing? Visit Lake Linville while you’re in the area! This 344 acre lake is conveniently located just off of I-75 exit 62, and is a perfect destination to spend your days and nights enjoying a little recreation and relaxation! 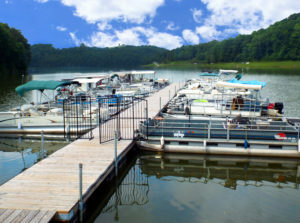 The Lake Linville Marina is situated 1/2 mile north on Lake Linville Road, and provides a boat ramp, dock, pontoon rentals, and camping. With an abundance of catfish, bluegill, bass (both large and small mouth), crappie, carp, hybrid stripers, and yellow perch, Lake Linville is sure to please. Open Bass Tournaments are also held regularly. Bring your horse and explore the beautiful Green Pond Ridge surrounded by 4500 acres of the Daniel Boone National Forest. Call to reserve a campsite or a bunk house with access to a bath house, water & electric hookups, picnic shelters, horse stalls and plenty of shade trees. 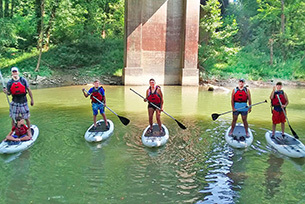 Rockcastle Outdoor Company guides will teach you the basics of stand up paddle boarding and provide and enjoyable experience on the Rockcastle River. ROC also offers motorcycle tours that will take you on an adventure of a lifetime to explore the back-roads of Southeast Kentucky. Enjoy stops along the way to admire the natural beauty that southern and eastern Kentucky has to offer. Reservations required. Open seasonally May-September. Livingston is your gateway to the Daniel Boone National Forest trail systems and Kentucky’s longest trail The Sheltowee Trace (269 miles). 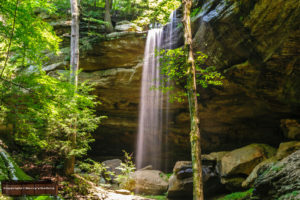 Hike or bike your way following the steps of Kentucky’s earliest pioneers or ride our scenic county roads of the 1900’s through the Daniel Boone National Forest. 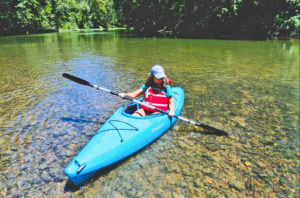 The Rockcastle River travels through and alongside the Daniel Boone National Forest making it one of the most pristine canoe and kayak tips in Kentucky. Stop by the Livingston Visitor Center, open 9am-4pm Monday-Saturday (hours vary during winter months), located in downtown on US 25 across the street from the Trail Head. Includes 20 RV sites with water and electric, tent sites, dump station, restrooms & showers, stage/covered pavilion, camp store, kayak launch/takeout and kayak rentals. Please call for special events. 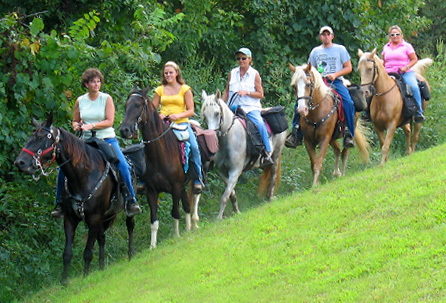 Discover the beautiful trails of the Daniel Boone National Forest on horseback. Hills and streams are plentiful. Outstanding scenery and wildlife are abundant. Organized rides with guides are held several times a year. Good family fun with many different campsites available. 48 sites with electric & water, numerous primitive sites, showers and restrooms, a covered shelter with kitchen, stables also available. Open year round. Reservations Required. 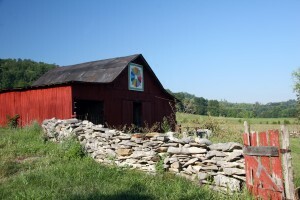 Located in the Red Hill area of Livingston, Just Kik-N-It Ranch specializes in outdoor adventure, providing visitors the opportunity to see a side of Rockcastle County like they have never seen it before! 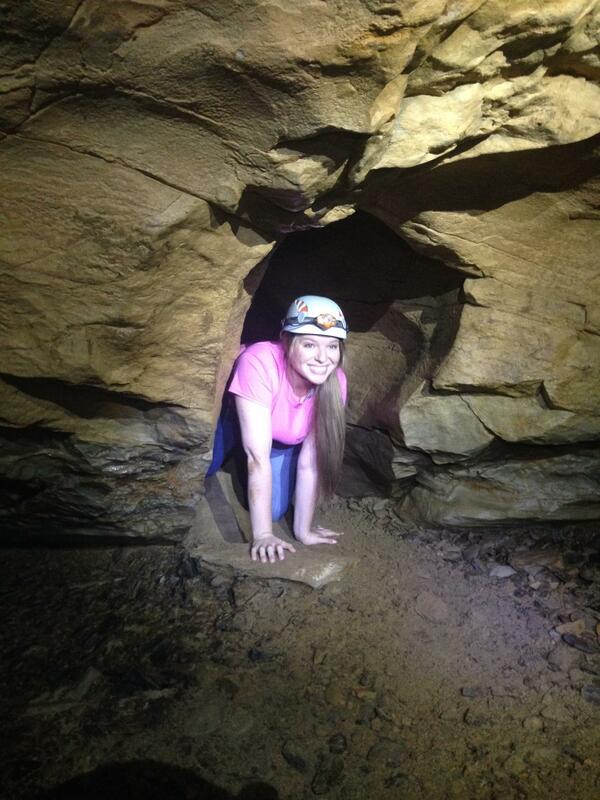 Rent a kayak and spend the day on the Rockcastle River or gear up for a guided cave tour. Whatever the pleasure, be prepared for an adventure! Open 7 days a week, available by reservations only. 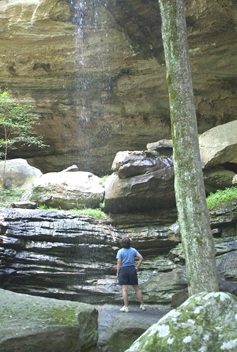 Although it’s obvious by the eroded rock formation, that water once fell forcefully off Anglin Falls, today weather conditions determine the flow of water coming down from the rocks. Located in John B. Stephenson Memorial Forest, this rich wooded ravine is open to the public for hiking, bird watching and nature studying. It is about a 3/4 mile hike, sometimes steep climbing, from the parking area to the falls. I-75 exit 62. US 25 to 1786 then left onto 1787 which turns into Hammond Fork Road. Go approximately 1 1/2 to 2 miles and turn right onto Anglin Fork Road (paved then gravel). Go .8 mile and turn left and then .2 miles to trail entrance. 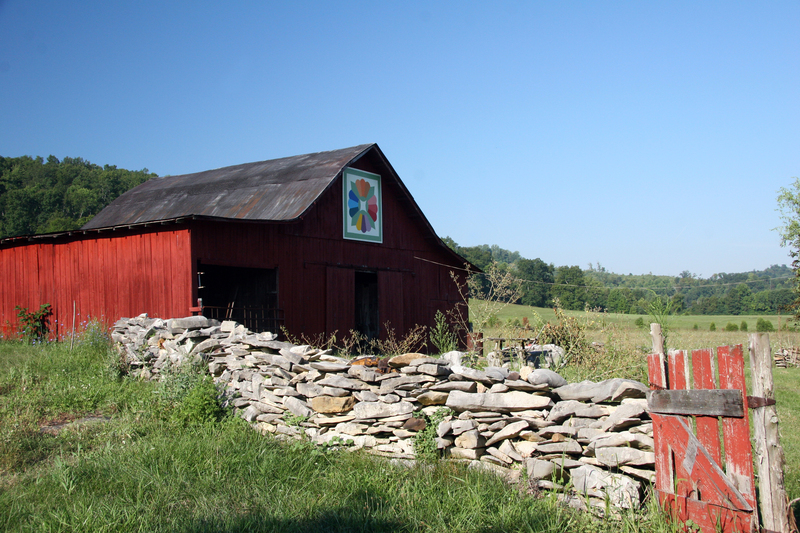 Take a scenic drive along the rolling hills, rich farm lands, small downtown, quilt block squares and of course, beautiful rock formations throughout Rockcastle County, which include portions of the Daniel Boone National Forest. Stop by the information center in Renfro Valley, and pick up driving trails brochures or download our newest brochure, highlighting quilt squares. Download Brochure. For more Scenic Trails click here. 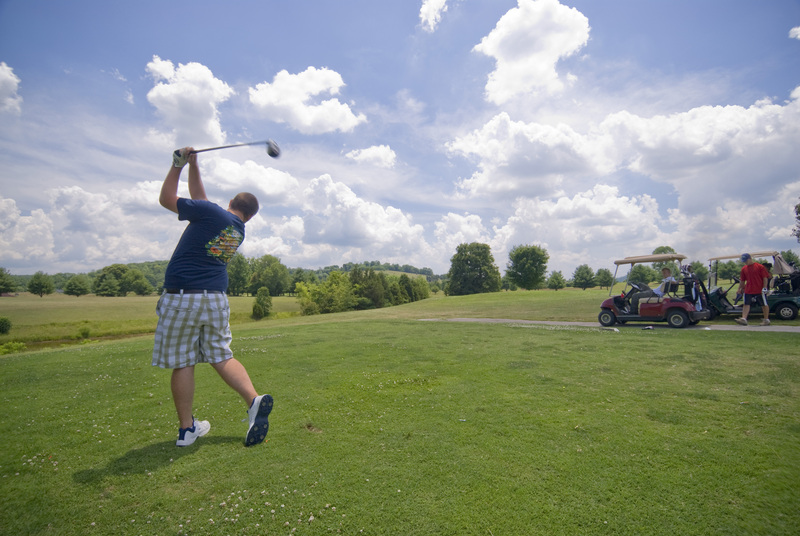 A challenging nine hole semi-private course. Located at 829 Cedar Rapids Road in Mt. Vernon and surrounded by farm pastures and beautiful hills. Reasonable rates. Out of town visitors welcome. 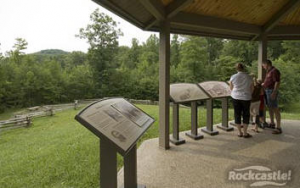 Visit this historic site where the Battle Of Wildcat Mountain took place and walk the trails blazed by Civil War soldiers, many of whom were facing fire for their first time. The hike takes approximately an hour and a half if you stop and read the wayside exhibits highlighting different points of the battle and general information of that era. Take I-75 to exit 49. Turn east and go 0.6 miles on 909, then turn south onto US 25 and go 0.7 miles and turn left onto Hazel Patch Road. 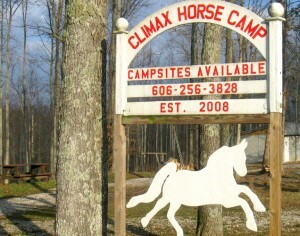 Take a left at the sign directing you to Camp Wildcat. The road leading to the gazebo where the trail begins, is a gravel county road that under some conditions may not be passable by low clearance vehicles.